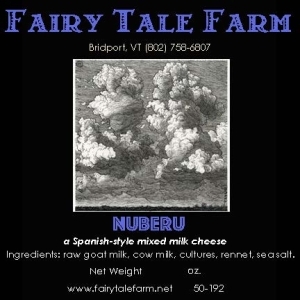 Fairy Tale Farm is a small sheep farm in Bridport, VT run by Alissa Shethar (cheesemaker and shepherd) and her daughter Zarrah (farmers marketer). Currently, we make aged raw milk semi-soft and semi-hard cheeses from the Crawford family’s Ayrshire cow milk, Dan Robertshaw’s goat milk and soon, we hope, from our own ewes’ milk. 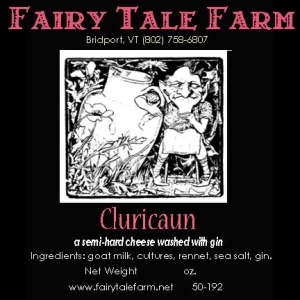 The cheeses are made in small batches and aged 3 to 6 months, brushed, rubbed with spices, or washed with spirits. We source all our ‘added’ ingredients- cocoa, barrel-aged gin, whisky, and herbs- from neighbors or friends from the farmers markets. Our farm was originally settled as a sheep farm over 250 years ago. 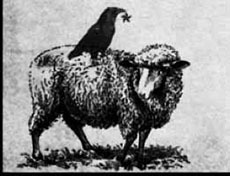 The sheep and goats love the hilly terrain, and our farmhouse used to have both a ‘wool room’ and a granary. The farm now supports a handful of Angora goats and about 75 East Friesian sheep with a few Awassi and Romney crosses. They produce rich, creamy milk that reflects their serene and generous natures, as well as a great deal of wool. After shearing in the spring, we have the best of the sheep and goat fleece spun for blankets and yarn. 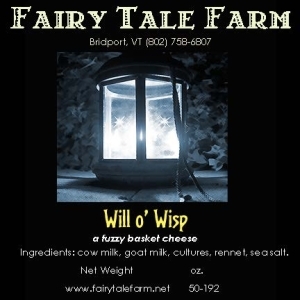 The cheeses are available at several farmers markets in the Champlain Valley, we well as local stores, restaurants, and a few big city cheese shops. We also ship or deliver small orders directly. A small basket cheese, rubbed with local gin or whiskey, aged 2-4 months. A mixed milk , Spanish-style cheese made in traditional Manchego molds, aged 2-4 months. 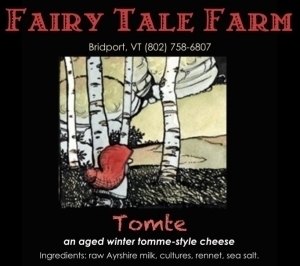 An aged, winter tomme-style cheese. A fuzzy basket-style cheese with a wild rind, made from various milks, aged 2-4 months. A winter tomme with a brushed natural rind. Made from raw Ayrshire milk and aged 4-6 months.